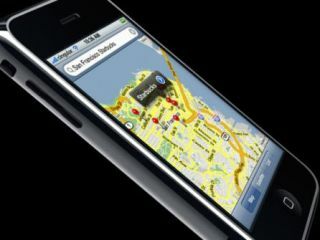 Apple's iPhone will have extra apps on it soon - could these include legal filesharers? It's early days, but a preliminary version of a Transmission peer-to-peer client for the iPhone has appeared online. The code has been ported over to work on the iPhone’s ARM processor. The Unofficial Apple Weblog posted a link to the Core OS app which it wisely warns against using on an EDGE connection. Well, you simply wouldn’t, would you? Of course, you’ll currently need to have jailbreaked your iPhone to run the client, which doesn’t currently have a graphical interface. Instead it runs on the command line. A graphical interface is only a matter of time. Such folly will surely only go to reinforce Apple’s view that it will vet apps for the iPhone. It does, however, raise interesting possibilities for the future. The BBC has already confirmed that it will, most likely, develop the BBC iPlayer for the iPhone, which will surely bring Wi-Fi network-only P2P to the device with Apple’s consent.